Whitney Christensen Assumes New Leadership Positions - Ward and Smith, P.A. Ward and Smith, P.A. 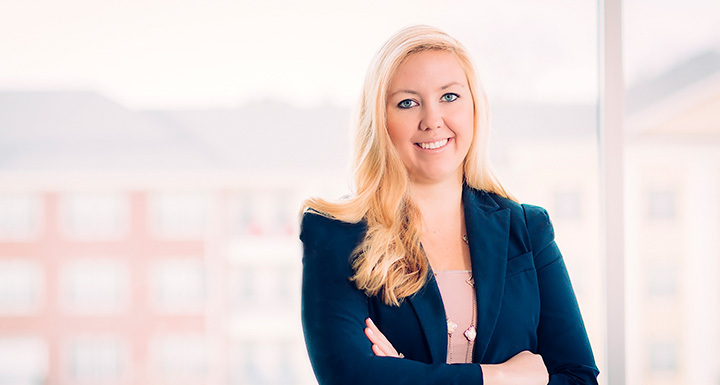 is proud to announce that Raleigh government relations attorney Whitney Campbell Christensen has been named to co-chair the Legislative Committee of the Government and Public Sector Section of the North Carolina Bar Association. She will also serve a two-year term on the Board of Directors of the North Carolina Professional Lobbyists Association. Christensen is a government relations attorney who represents clients before the North Carolina General Assembly, where for eight legislative sessions she has monitored, evaluated, drafted, supported, amended and opposed legislation in accordance with client needs. She has experience advocating on behalf of large technology companies, professional associations, manufacturers, restaurants and lodging properties, environmental mitigation providers, military and education nonprofits, and local governments. She has successfully secured state budget provisions and has had legislation introduced and enacted pertaining to business liability, internet privacy and security laws, state and local pension system reforms, vehicle registration, special elections, alcoholic beverage laws, state procurement of information technology, local government purchasing requirements, and 911 dispatch center redundancy. Christensen also counsels and represents clients before government bodies in economic development matters. Christensen also is licensed to practice patent law before the United States Patent and Trademark Office and assists clients with trademark searches and trademark application preparation. She has significant experience reviewing and drafting intellectual property agreements and privacy policies.